Weekend brunch from 10 a.m. to 3 p.m. Dinner is daily from 5p.m. to 10p.m. and until 11 p.m. on Friday and Saturday. A light fare bar menu is offered daily from 3p.m. to 5 p.m. 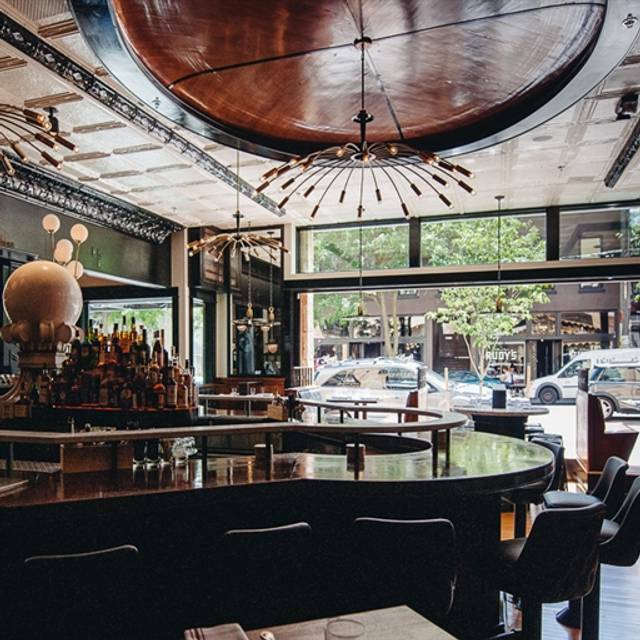 The 120-­‐seat restaurant is Chef Jason Stoneburner’s homage to the varied cooking styles of the Mediterranean and the natural bounty of the Pacific Northwest with a focus on stone hearth cooking. The inviting restaurant is furnished with architectural objects and antiques from all over the globe, giving it a warm, timeless feel. Private dining is available in the restaurant with the Olympic Rooftop Pavilion providing stunning event space atop the hotel. Celebrate Mom in style at Stoneburner. Open for brunch and dinner! Open for brunch and dinner on Easter Sunday. Perfect spot to bring the family for a family-style meal. Stoneburner is an Italian-American spot in Ballard with good neapolitan pizza and decent everything else, though the pastas are a crap shoot. Our server was excellent. We will definitely go back! The food was delicious, the service was awesome, and I love the atmosphere at Stoveburner. We visited during restaurant week and got a great deal, too! We'll be back for sure! Good food, cooked perfectly. Experienced friendly staff. Well run Resturant . We’ve lived in the Seattle area for over 20 years and Stoneburner ranks at the top. We’re curious to see if their new resturant, Seaplane, in Kenmore impresses is as much as Stoneburner. My leek and asparagus pizza was to die for. The egg yolks on it were perfectly complemented the warmth of the toppings with its rich buttery yellow. The Gorgonzola was dreamy creamy. The service was great, too. I'd love to come back to Seattle only to eat here. The only negative, and it’s a big one, is that it is so very noisy. We were unable to have a conversation at the table due to noise. Food was not up to par. Portions were noticeably smaller than usual, as we frequented this place. Hoping that it was just an outlier. Service was also not as attentive as we've experienced in the past. 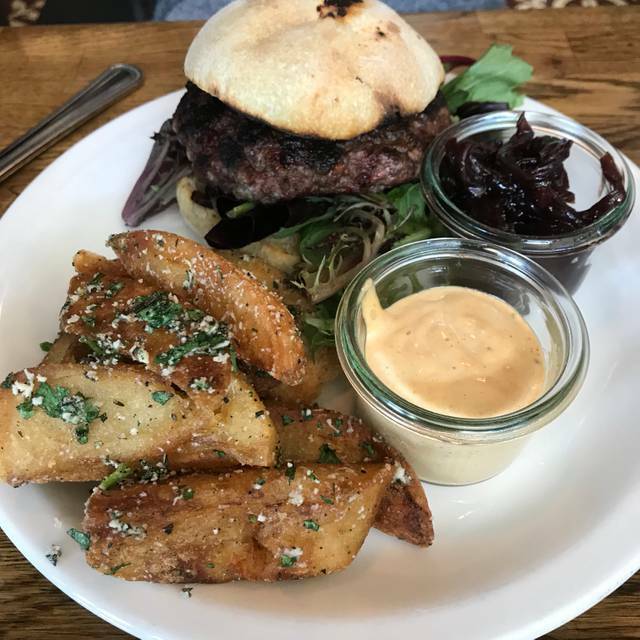 We loved everything about our meal at Stoneburner. Great food. The veggie and seasonal dishes always exceed our expectations. They are very kid friendly. We dined with our 2.5 y/o and they have an accessible kid menu, kid cups, crayons, and coloring page. Great decor, a buzzy atmosphere, attentive staff and delicious food but our banquette table was a tight fit for a more portly member of our party and the straight wooden benches were not comfortable for any of us over 50's. Noise level was high so conversation a bit challenging. We ordered a vegetarian tortellini that seemed like a very small portion, however, when we kind of complained, the server took it off our check at the end so we felt happy about that. Extremely slow service. When food finally came out one scallop was raw. We did not tell the server because we never saw her again once she brought the entrees. 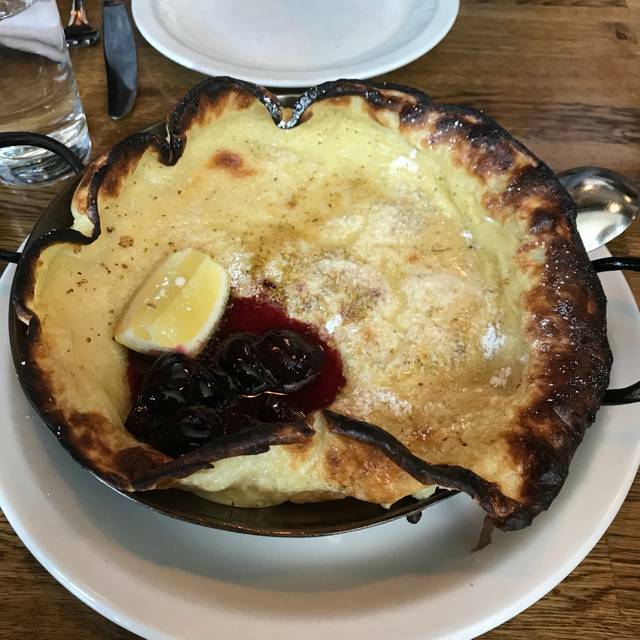 Due to the slow service, when the server brought the entrees, she said she was comping dessert but when the bill came the dessert was still on there. Someone else brought the bill - we never saw her again. No one asked how our meal was. The food was fabulous but felt it was noisy. Also the seating is not very comfortable and hate the weird iron shelf in the middle of the table. Pizza and pasta was pretty good. Nice basic meat sauce and mozzarella pizza. A little pricey for what you get. Great restaurant. I rated 4/5 on value because the drinks were not a great value. $12 got me a few sips of a mixed drink with a glass full of ice (I usually don't mind the ice in mixed drinks, but this time it was too much). Other than the drink "issue", the food was awesome and the service was great. Dinner on Saturday night with my wife and a friend. We’d been thinking of the octopus since our last visit and although the preparation was a bit different, the result was spectacular. The pea pods were sliced thinly and very refreshing although for the price the quantity was lacking. The Pork chop was fantastic and Orchiaetta pasta lamb sauce was perfect the pasta itself was a bit dry like it had been clumped in the pot. The noise level made it difficult to speak or hear taking away from a otherwise delightful meal. The Tagliatelle was delectable; the pork cheeks and truffles blended sublimely with the handmade pasta. The hand-rolled Orcchiette with lamb neck were tender and delicately held the sauce. Our waitress, Genevieve, was very attentive to our needs and helped keep us on-track to get us going to our event after dining at Stoneburner. Really great food across the board and the ambiance is really great—but like to so many restaurants, it’s too damned loud. The service was great, but my customer cocktail, main course and dessert were disappointing. The cocktail was just not what I expected, but that’s understandable since I asked for something you don’t usually make. The paparadelle with mushroom ragu was oddly tasteless and oily. And the chocolate cake was dry. The buddin, however, was spectacular. We’ve eaten at Stoneburner on several occasions, and always enjoyed the experience. On this visit for our anniversary, we had cocktails in the bar, which were extraordinary, and we enjoyed discussing various concoctions with the bartender. Each element of the dinner (Roast chicken, Grilled Scallops, Roast Brussel Sprouts, Roast Broccoli) were all very good, but we came away feeling as though the flavor combinations never quite melded within the dishes, and we didn’t feel the combinations with the sides worked. Maybe we chose poorly, as that hasn’t been the case in the past. All this aside, we’ll remain fans and look forward to our next visit. Our first visit here. Initially wasn't sure if I was going to like the menu. I would like part of the menu (entree) description but not thrilled with the sides, etc. BUT, I decided on the special pasta of the day which was a "radiator" pasta with shredded braised beef and broth. It was fantastic. My husband had the papadelle that was on the menu and he thought it was very good as well. We split a caesar which turned out to be just the right amount and the dressing was quite good. We dined with my husband's brother and his wife and his brother ordered the pasta special "radiator" pasta as well and he thought it was great. My sister-in law decided on the bolognese pizza and we each got a slice of that as well - it was oven fired and quite tasty. 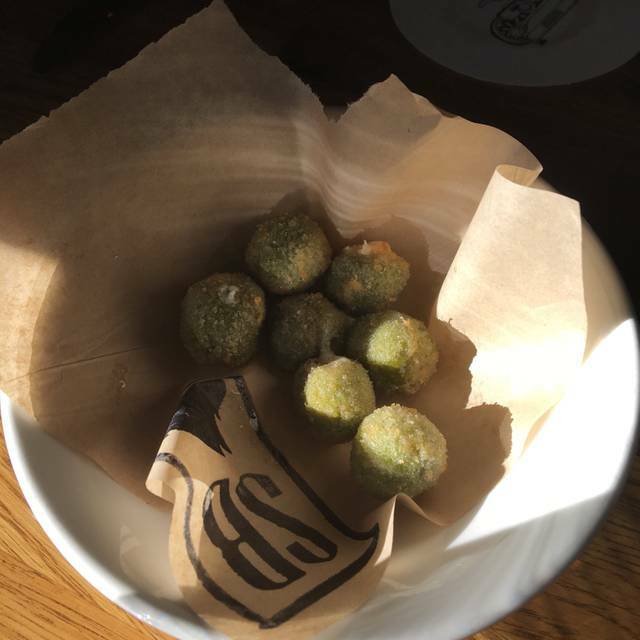 All in all, while I was quite apprehensive in the beginning, thinking I would not find anything on the menu that I was going to be happy with, I was thrilled with my selections. The service was extremely attentive and the Stoneburner atmosphere was classy while informal and friendly. I would love to see the "special pasta of the day" as a regular on the menu - it was that good! Once again, we had a server (goes by Jus 10 I believe) who helped ensure we had a great vegetarian experience...he swooped in like a ninja to stop a plate from hitting our table when he saw it wasn’t prepared as we asked. He also brought us a sample taste of another wine when they were out of the one we ordered. Things happen when you order a lot of small plates on a busy night, but none of that matters when the service is so good (and the food tastes as good as it does here.) so impressed with this place—we’ll be back again and again. Loved the pumpkin cappelletti, the roasted carrots, and the vanilla & dulce de leche budino best. 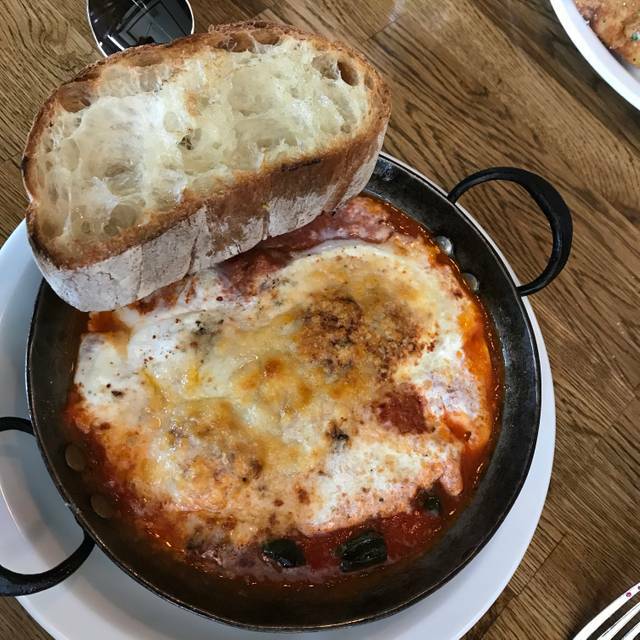 We were told Stoneburner has excellent pasta and wood-fired pizza. My wife and I both had pasta dishes that were excellennt. Our salad would be given a "good" grade. Service was very good. Loud but have come to expect that in most restaurants these days. Food was between 3 and 4 stars. Meatball dish was tasty but too salty for my (usually salty) tastes. Octopus was good -tender, not rubbery. Drinks were fine. Staff appeared to be working well together and enjoying themselves. Overall a nice time. Loved it all! Will totally go again! Stoneburner is underrated. It's so incredibly delicious. They change their menus every 4-6 weeks, so everytime we go we try something new and it's always spectacular. We always have great waiters who take the time to answer all our questions and serve us with a smile. Stone Burner never disappoints! one of my favorite brunch places in Seattle. The very best service I have had in Seattle in s very long time. Thank you Kate @ Stoneburner! 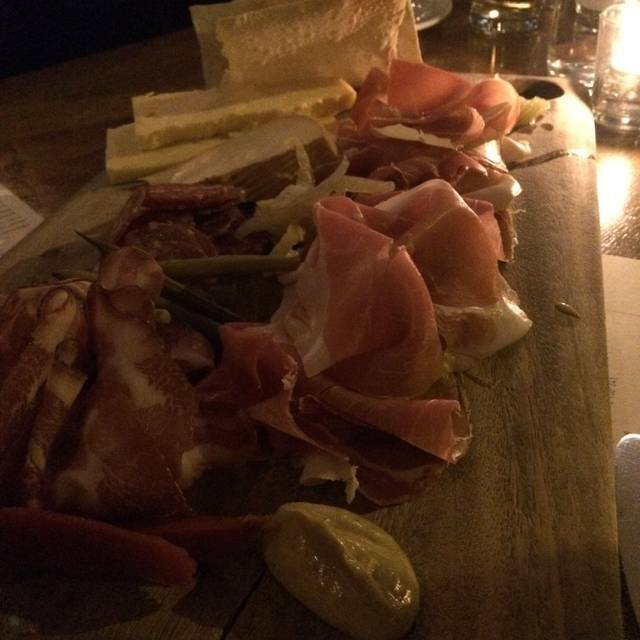 Charcuterie platter is not to be missed! 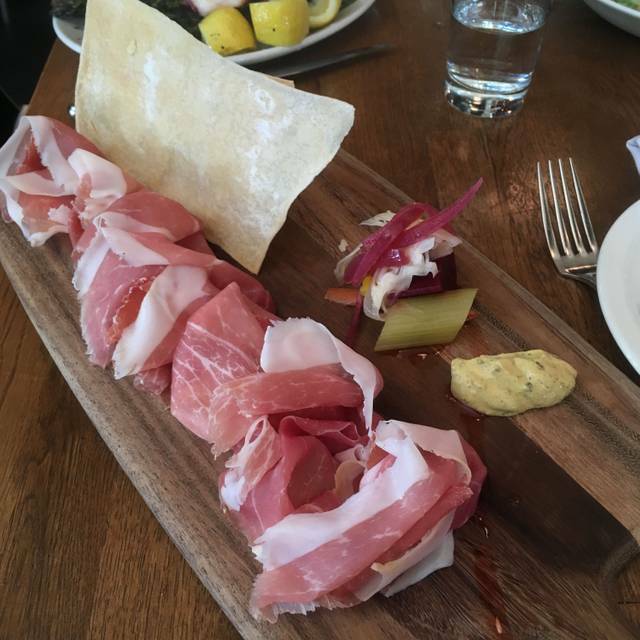 Excellent sharing plates and overall cool Ballard vibe. We had a really nice time. We came for a late Friday night dinner. The staff was really friendly, great wine options and easy to share plates. For two of us we did an appetizer, pizza and bottle of wine. We just moved to the area and will definitely be coming back! Terrific food, excellent service. Our server was quite animated and passionate in her description of the dishes, which made her an excellent advocate of the cuisine! 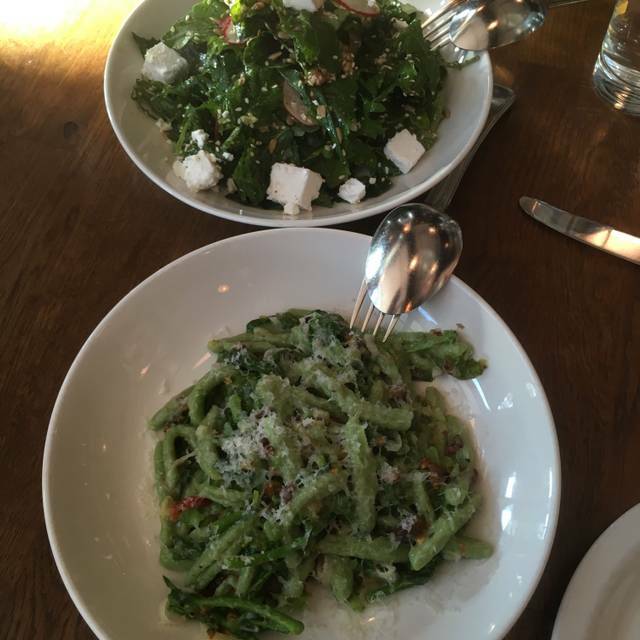 We all chose pasta dishes, as well as a couple vegetable small plates and desert, and they were all delicious. Our only drawback was the noise, which made carrying on a conversation difficult at times. A lovely meal like that shouldn't have competition in terms of distracting ambiance. Otherwise, everything was divine--a lovely evening! Our favorite restaurant in Seattle is Stoneburner. It's a little above our typical date night budget, so we save it for special celebrations and we are truly never disappointed. 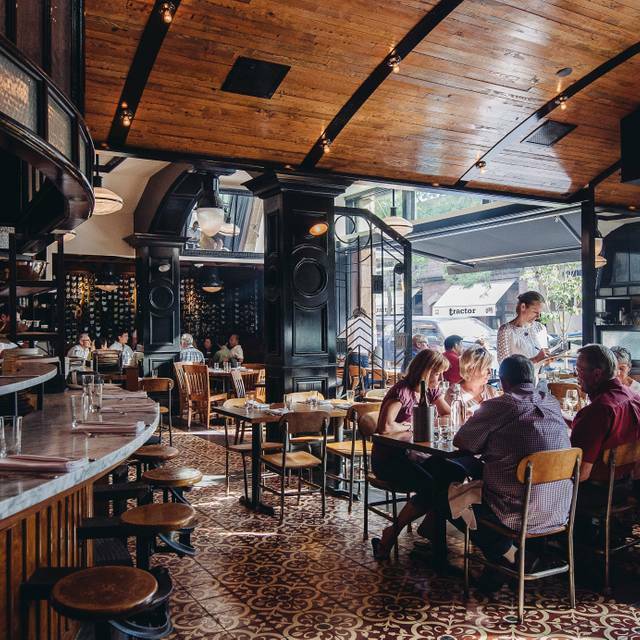 The food is the best in the city, the drinks and wine list are incredible, but what makes this place so special is the thoughtful details put into every step of your experience from the time you walk in until the time you leave. The staff are all highly trained and yet still so personable. If there is one spot you have to hit in Seattle, it's here.